Home Apple Mac Mac Pro Why Is It Taking Apple so Long to Update The Mac Pro? Apple started talking about a new Mac Pro last year. Now it's talking about a 2019 release date. A year ago Apple responded to cries from pros using Mac hardware and held a damage limitation press conference to reassure them that an updated Mac Pro was in the pipeline. Now Apple says that the new hardware won't land until 2019. So what's going on over at Cupertino? Why the delay? On the face of it, the delay is odd. After all, Apple is a company that can push out new iPhones, iPads, and Apple Watches on a yearly schedule, and yet seems to need years to put together what is essentially a computer. After all, how hard is it to throw some high-end components into a box and ship? PC OEMs do this all the time. What I got from reading TechCrunch's Matthew Panzarino's coverage of Apple's second on-the-record briefing is that Apple spent a lot of time but said very little. There's a lot of talk about "digging in these workflows" and "getting a much deeper understanding of our pro customers and their workflows and really understanding not only where the state of the art is today but where the state of the art is going," and there's even a promise to "look at everything holistically," but solid details are pretty much absent. It's weird, but the feeling I get from reading Panzarino's piece is that Apple has forgotten how to build pro hardware. And in some way, that's the case. Apple has been so focused on consumer hardware for so long that the last MacBook Pro refresh -- which introduced the Touch Bar and brought with it a 16-gigabyte limit on RAM -- elicited more yawns that wows. It seemed less a pro product, and more a consumer device featuring a neat gimmick with a pro label slapped onto it (along with a pro price tag). It makes sense that Apple doesn't want the new Mac Pro to pratfall in this way on release. Maybe Apple thought that the iMac Pro would be enough, and professionals would stop hassling about a new Mac Pro. Perhaps Apple doesn't want to cannibalize iMac Pro sales or is using this as a canary to test the market. Maybe the delay has something to do with the rumor that Apple is planning to dump Intel and switch to its own chips. 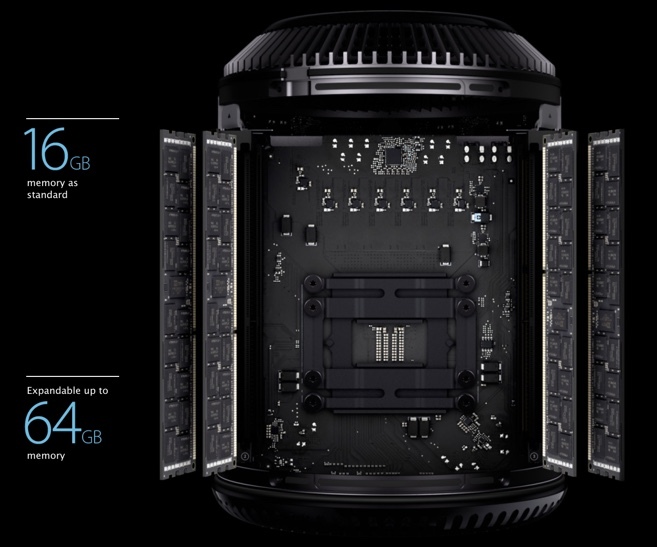 I mean, it would be odd for Apple to start selling a new Mac Pro only to then switch to different chips (especially given the lifespan of pro gear). Maybe Apple is working on something truly new and ground-breaking, and that needs time to bake (but how radical can a workstation be?). Maybe this is a "hobby" project over at Apple, and it's having to fit around the big money-makers. Sure, pro-grade Apple hardware is expensive, but it's a drop in the ocean compared to the iPhone (the launch of the iMac Pro didn't even blip the revenue needle for Mac sales following its release). Whatever Apple has planned for us, we'll have to wait until next year to find out what it is, and longer still to find out what the professionals who rely on Apple hardware actually think of it.